Richard founded SlewPro and leads all facets of business development and operations. Richard has over 25 years of experience leading groups that design and manufacture precision engineered products. He founded SlewPro to serve the needs of equipment designers, manufacturers and rebuilders who have been underserved by the traditional suppliers. Quality, responsiveness and the ability to customize to specific needs drive Richard and your team at SlewPro. Prior to founding SlewPro, Richard was President of Storetek Engineering, an industrial automation and engineering firm in Northeast Ohio. Richard lives in Stow, Ohio. He has been blessed with four children. He enjoys cooking and fine wines. Recently he began baking bread. He enjoys walks and hikes with his friend Kim. Richard is active in his church and serves in a number of areas. Jim has a passion for serving customers and providing them with extraordinary value. Jim has more than 28 years of hands-on business experience leading closely held and venture-backed manufacturing and distribution businesses in Cleveland and Cincinnati—including Mazzella Lifting Technologies and Five Star Technologies. 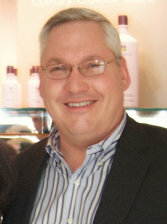 Jim is an active investor, strategist and advisor for several high-growth businesses in Northeast Ohio. In addition, Jim Chairs a private CEO advisory board for Vistage International. Jim lives in Westlake, Ohio with his lovely wife and four children. He enjoys hiking, canoeing, fishing and other types of wilderness adventures. Jim serves on the Boards of Catholic Charities of Cleveland, Arisdyne Systems, and Public Insight Corporation.